George Washington is often referred to as the father of this nation, and rightfully so. His actions as a military leader were instrumental in keeping French forces at bay and, later in defeating British forces during the Revolutionary War between the colonies and Britain. During his presidency, following the defeat of the British, Washington set up protocols that would allow the new government to flourish and maintain unity and strength even while at war. He set up an effective tax collection system that promoted taxation with representation, created a national bank and quickly began to reduce the nation's war debt to help build an economically strong and independent country. Despite opposition, Washington maintained his stance that the colonies would not engage in further wars and that neutrality should be maintained during the French Revolutionary Wars that involved Britain. Washington died in 1799. He has been named one of the greatest U.S. presidents and was the recipient of the very first Congressional Gold Medal in 1776 for his contributions to the American Revolutionary War. George Washington was born on Feb 22, 1732, at Pope's Creek, Virginia. Although his brothers were able to receive an education abroad in England, the death of his father in 1743 denied Washington this privilege. Washington subsequently thought to seek admission to the Royal Army at the age of 14 but knew better than to go against his mother's wishes, as she had forbidden him to do so. Soon thereafter, Washington began to pursue his true passion: math and surveying. In 1748 at the age of 16, he joined a surveying party, and just a year later, he secured a job as the county surveyor for the newly created Culpeper County in Virginia. Over the course of his surveying career, Washington surveyed over two hundred tracts of land and held the title to more than sixty-five thousand acres in thirty-seven different locations. After a bout with smallpox, which he contracted while helping his half-brother seek relief from tuberculosis in Barbados, Washington pursued freemasonry. Like many other men maintaining a reputable social standing in colonial Virginia, entering into the brotherhood was expected of Washington. The initiation into the Fredericksburg Lodge No. 4 in Virginia under the title Apprentice cost him 23 pounds, but would pay off quickly. 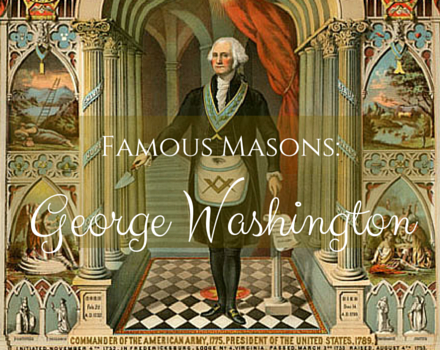 Only a year later, George Washington was passed to the degree of Fellow Craft, and later that same year he was granted the title of Master Mason at Lodge No. 4. Washington remained active in the brotherhood his entire life, proclaiming that he felt the grand object of the Freemasons was to promote the happiness of the human race. He attended meetings frequently, even while tending to his obligations as a military officer, and his brothers at the lodge referred to him as consistent and punctual. Some say that Washington's successes throughout the years of war and tension with the French and British might be attributed to his devotion to freemasonry. While he had little experience commanding an army, he appeared to be a natural leader, and soldiers followed him without question. Although he had his share of military blunders, such as his shoddy construction of the fort he named "Necessity" that directly resulted in his capture by the French, his leadership overall proved successful time and time again. 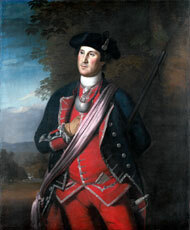 Washington emphasized training and led his troops on many brutal missions, building the regiment into one of the best-trained provincial militias of the time. His leave from the military to marry and return to plantation life in 1758 surprised many, but as tensions over taxation without representation rose, Washington ultimately returned to battle on June 15, 1775, as commander of the Continental Army during the Revolutionary War. Washington kept this post until 1783, the same year the Alexandria Lodge No. 39 in Virginia was founded by the Provincial Grand Lodge of Pennsylvania. 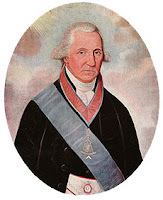 found that declining a painting would mean offense, he agreed to sit for artist Joseph Williams, who desired to paint Washington's portrait in full masonic regalia for the Alexandria Lodge. Williams' intricate depiction includes a scar on Washington's cheek, smallpox scars on his nose and cheeks and a mole under his right ear. 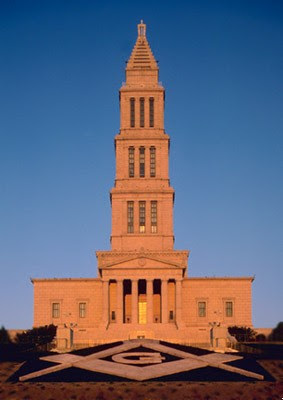 Six years after Washington’s death, Alexandria Lodge No. 22 was renamed Alexandria-Washington Lodge in his honor. It is an active lodge to this day. George Washington believed that freemasonry helped people achieve happiness. Tell us about your own perspective regarding freemasonry by commenting below.